One Way Hires are not available from this location. They may be available from other local branches.Please call our experienced reservations staff on 0800-02-353-97 for assistance and advice. Drivers under 25 years of age have to pay an additional charge for their insurance. They must have held their full driving Licence for 24 months and have no Convictions/Bans or Points.If this causes any problems call us on 0800-02-353-97. With over 450 locations in Britain, the one-way service at Yellohire makes it the most convenient service in the UK. This service allows you to hire a van at one location and then return it to any one of the Yellohire locations throughout the UK. To find a showroom in your area, check out our list of available van hire locations. Yellohire supply all of the major van models and manufacturers, with all manor of vans from SWB Transits to a Luton 3.5t with tail lift, all available at competitive prices and with flexible leasing arrangements to suit your circumstances. We have a selection of services and leasing agreements available in order to remove the hassle from the van hire process. Available options include long-term and single-day hire contracts, as well as our one-way hire service. 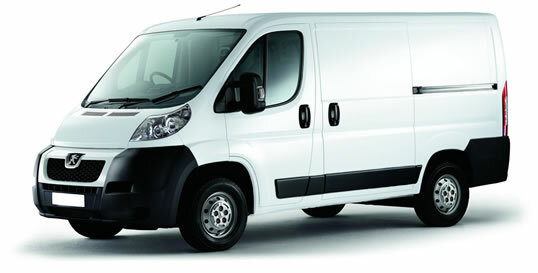 This service enables you to hire a van from one showroom and then return it to any other location. This is a really convenient option for one way trips, such as a company relocation. At Yellohire we offer our customers fully inclusive and competitive rates as well as an extremely easy to use service. So, if this is type of hire service you need then give our team a call on 0800-02-353-97, or if you prefer you can fill out the contact form on the top left of the page. There are no additional or hidden fees when you make a payment using a credit or debit card. Yellohire hire prices are all inclusive, so the listed price is the price that you pay. Our prices include VAT as standard, unlimited mileage and van insurance (unless stated otherwise). Our prices are clearly indicated to ensure that you can make an informed decision about which van and hiring option you want.